Until the Palisade premieres this summer, the bulk of interest for the Hyundai brand is still centered on the Kona SUV. 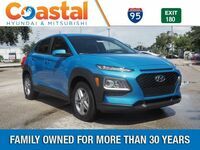 A compact SUV, the 2019 Hyundai Kona is stylish, comfortable, and affordable for those who want a bit more than a sedan can offer without breaking their bank or going too big. The same could be said of our chosen competitor today: the 2019 Nissan Kicks. Both the Hyundai Kona and the Nissan Kicks are new models to their respective catalogs. The Hyundai Kona went on sale in 2018, offering a more compact SUV offering than the Tucson. Meanwhile, the Nissan Kicks fulfills a similar role while it emerged to thankfully replace the wonky and often maligned look of the Nissan Juke. Both with prices that start around the price of a compact to midsize sedan model, let’s see how these small SUVs fare. It’s the 2019 Hyundai Kona vs the 2019 Nissan Kicks! 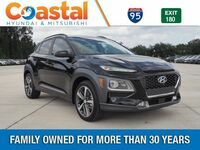 Find Your Hyundai Kona Match! The 2019 Nissan Kicks does save you a bit more money when compared to the Kona, but it does so by being far more stripped down than its Hyundai counterpart. Cabin space, cargo space, engine power output, and convenience features are all severely reduced to lower the price of the 2019 Nissan Kicks. However, for a marginal increase in price, the 2019 Hyundai Kona provides a far more comfortable, enjoyable, and satisfying ride. 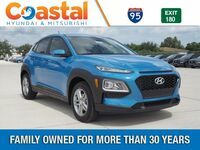 For additional information on the 2019 Hyundai Kona, or to schedule a test drive for a hands-on learning experience with the new Hyundai compact SUV, please contact us here at Coastal Hyundai. Our staff can be reached online, by phone, or in person on site. 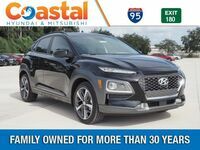 The Coastal Hyundai dealership is located in Melbourne, Florida within Brevard County. Come down and take a seat inside the 2019 Hyundai Kona to try one for yourself!